Nightstand with Hidden Compartment plan. 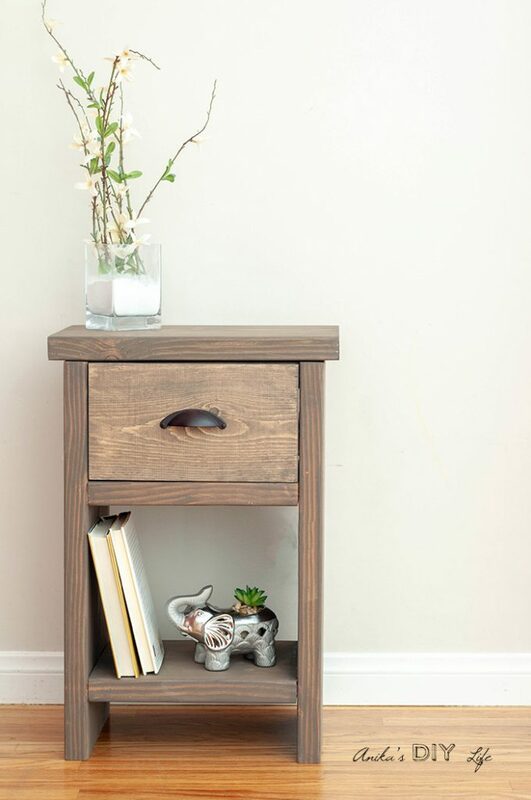 This nightstand features a drawer plus a lower shelf but thats not all! The top hinges up for a secret compartment. Wow. Free downloadable plans are available at the link. Farmhouse Nightstand with Drawer free plan. 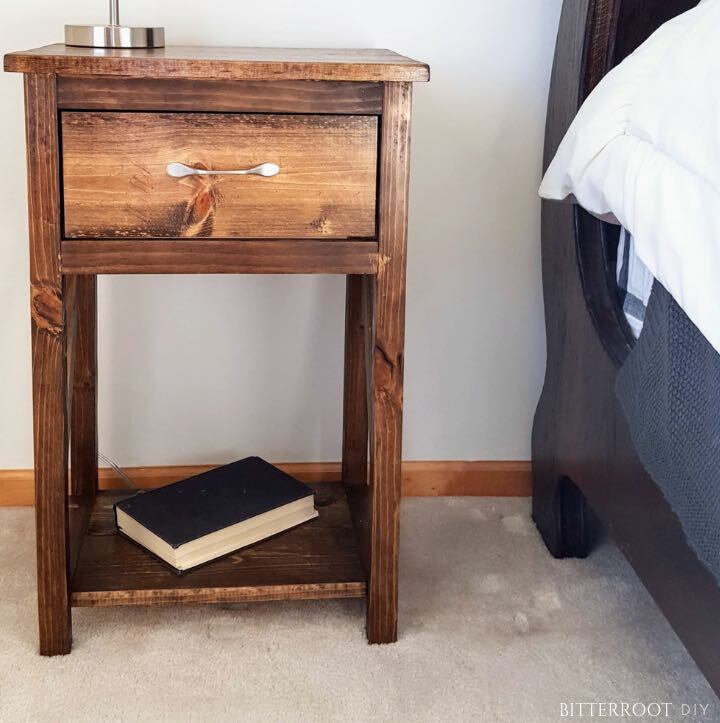 Using these free woodworking plans you can build this farmhouse style nightstand. The legs in this plan can be modified so the nightstand is proportionate with your mattress. 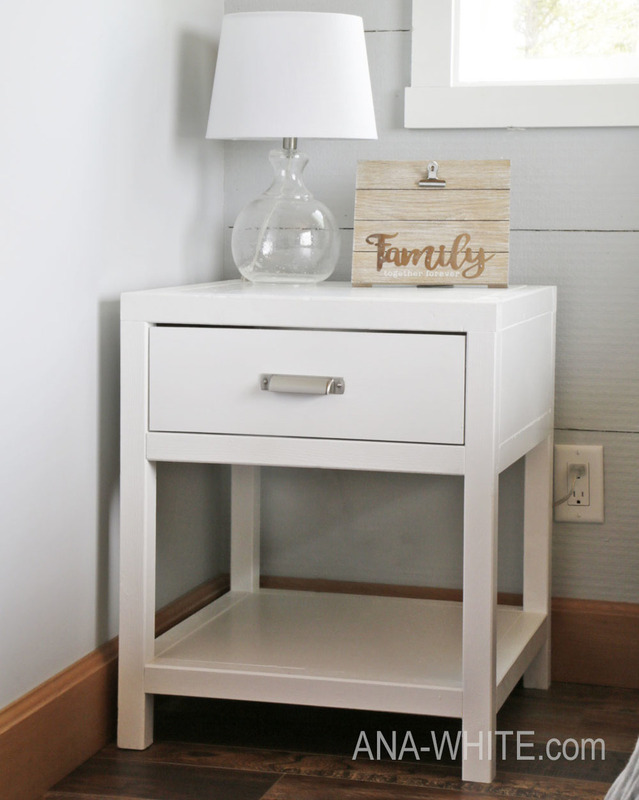 Build a bedside table with a drawer for storage using the free plans available at this link. Build this bookshelves/nightstand combo using these free downloadable woodworking plans. These nightstand tables would be perfect for a guest room or even a living room. Build it using these free woodworking instructions. 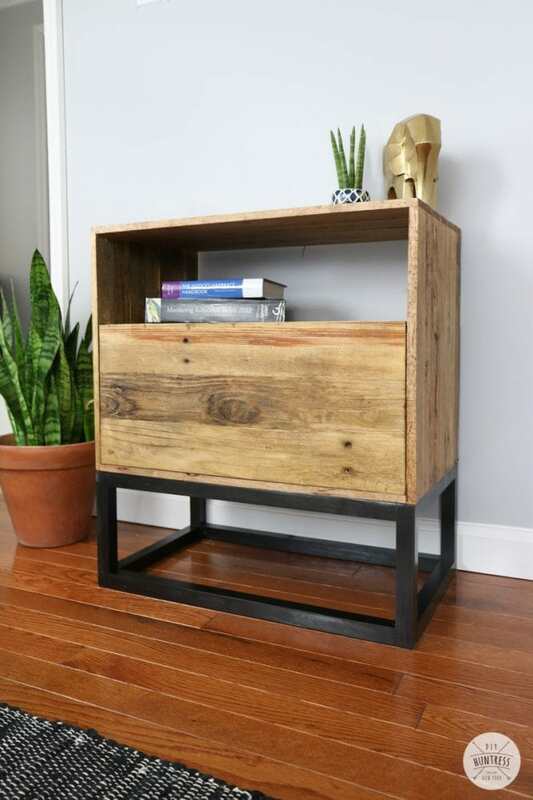 This nightstand has a big drawer for storage and rebar for a decorative touch. build it using these free downloadable woodworking plans. Build this solid retro nightstand using the free woodworking instructions at the link.